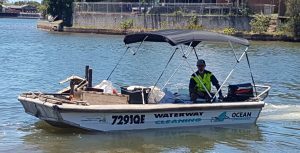 Ocean Crusaders is the official contractor for inland waterway cleaning for the Sunshine Coast Regional Council. Our team take our work punt around collecting debris from canals, rivers and creeks from Coolum down to Bribie Island. The shallow draft of this vessel makes it perfect to access areas that larger boats cannot get to, as well as swing in between the pontoons in the canals systems. The willingness of our crew to get into the hard to get places ensures the environment is cleaned thoroughly. 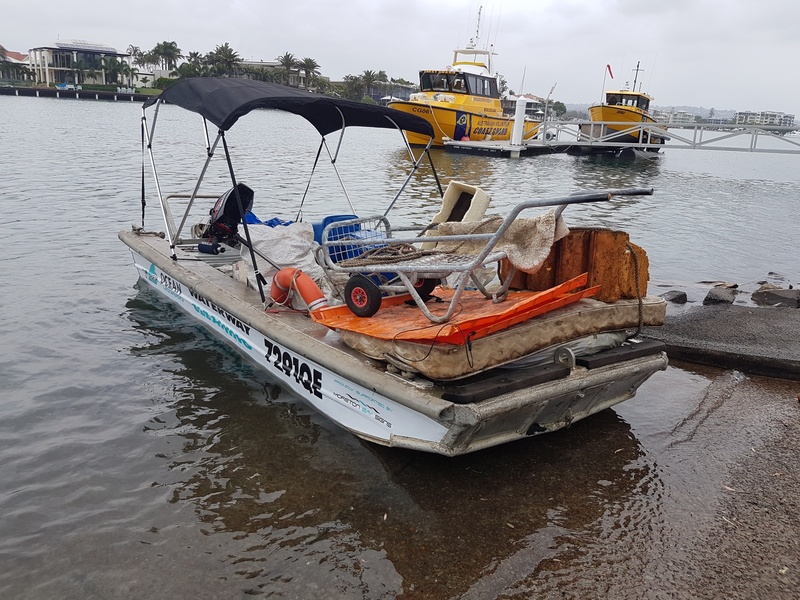 Having established hot spots, we worked closely with council on the design, supply and installation of several different debris booms to capture debris 24/7. 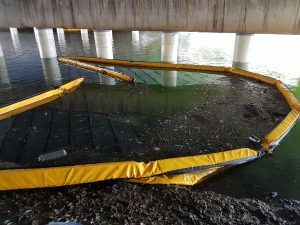 There is a cross drain boom at Upper Stumers Creek collecting debris washed into the creek from surrounding drains as well as 2 separate debris traps under Horton Parade Bridge capturing debris running out from the Sunshine Plaza. We then service those booms and collect other debris as part of our contract. By installing debris booms we have been able to reduce man hours from 5 days a week to just 2-3 days a week pending weather (Rain events require additional cleaning). 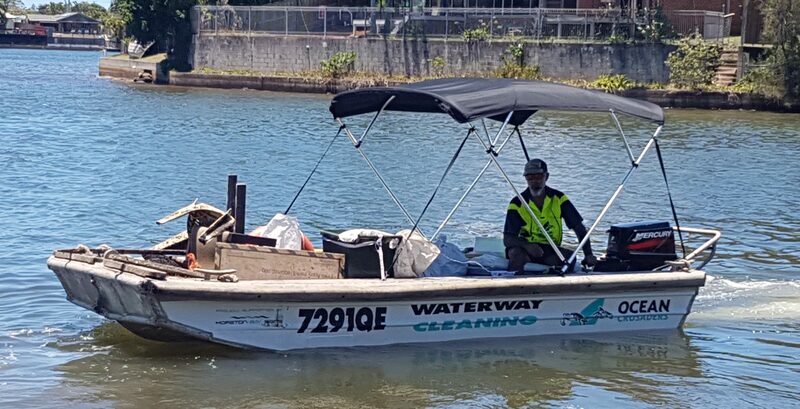 Our mission with this program is to deliver to council ‘half the cost and twice the debris’ of their former program, along with cleaner waterways for everyone to enjoy. What we can’t reach by boat, we organise a community Paddle Against Plastic event to get the job done. In 2017 we collected a staggering 15.7 tonnes of marine debris and provided a data set to the council to enable them to develop source reduction schemes. Some of the major statistics to come from the year include. 1,537 bait bags, 1,086 recreational fishing items and nearly 5kms of fishing line would suggest a program aimed at fishermen is required. In the last three months of the year, when wet season began, the amount of debris increased significantly from 1 tonne per month to around 1.7 tonne per month. Our statistics include a data sheet for every clean of every waterway throughout the year. Data is essential as if all you do is clean up rubbish, that is all you will ever do. We need to what it is we are removing and where it is coming from. That enables us to develop programs to reduce, if not eliminate the amount of debris coming into the waterways. For more information on this program or to discuss options for your region, please contact us.